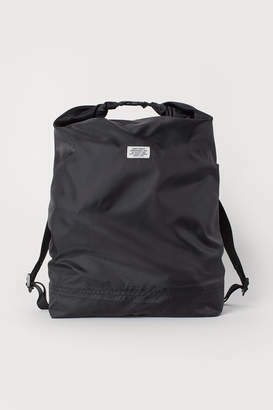 Spacious, lightweight backpack in functional fabric with a roll-top closure at the top that can be folded down and fastened with a plastic fastener. Adjustable shoulder straps and a zipped inner pocket. The backpack can be folded and stored in its inner pocket when not in use.